Prominent & Leading Exporter from Mumbai, we offer electro surgical diathermy electrode, monopolar handswitching disposable pencil, electro surgery single pedal foot switch, electro surgery double pedal foot switch, reusable monopolar handswitching pencil and silicon patient plate. 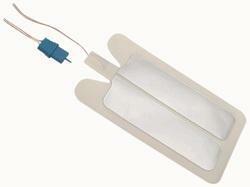 We supply various types of loop & surgical electrode with different size & shapes. We can develop customize size shapes as per requirement. Monopolar Handswitching Disposable Pencil . SHALYA reusable pencils grant very high waterproof qualities in the distal section of the device, which are ensured by a special silicon “O-ring” that prevents liquids infiltration and protects the operator from electric shocks. 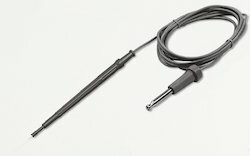 Reusable ones are available in many different versions, depending on the tip electrode, the cable length and the connector type trade, export and supply to our clients superior quality of Cautery Pencil. Due to high durability and quality this pencil is admired among its clients.. Our pencil has easy operations and is available at economic prices. 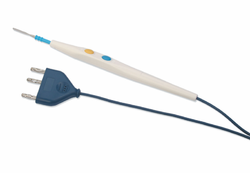 We supply single use reusable various types of foot control pencil with 3m wire length. We supply various tip size & lengths bipolar forceps with straight & bayonet sizes & coated & nonstick type forceps for different surgical applications. We supply single use reusable various types of Patient Return Electrodes in Disposable, Silicon Rubber Steel material with various sizes for Adult, Pediatric Neonatal applications. Available in size for pediatric application. Material: foam or non-woven base line, aluminum foil, conductive gel. 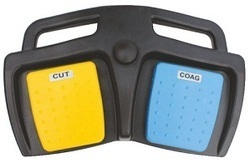 Enhanced with a toggle button to switch between modes along with on-screen indication. Clean & wire-free surgical environment.